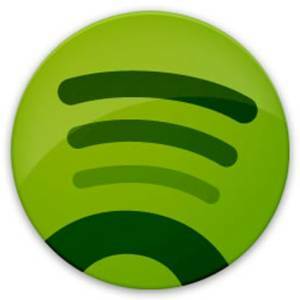 Spotify, Europe's most popular music service, could launch in the US as soon as next week. That's the time period the company's representatives have reportedly been telling US label executives, according to All Things Digital. It's still not confirmed, unfortunately, and Spotify is of course declining to comment. Officially, we're still being told "later this year". Earlier this week, Spotify finally announced that it was coming to America but wouldn't give many details. Pricing information is still unknown, and we still don't know anything about the rumored Facebook integration. Last month, Spotify signed a distribution deal with Universal Music Group, the world’s largest music label. Ever since Spotify has managed to sign three of the four major labels in the US, a stateside launch has been imminent. Four months ago, the service passed the 1 million subscriber mark, making it the biggest paid music service in the world. Five months ago, Spotify reportedly struck a deal with EMI Music and six months ago, the company signed a deal with Sony Music Entertainment. Spotify thus has three of the four major music labels; the other one left is Warner Music Group, and rumors suggest the company is getting close to signing this label too. If you’re in the U.S. and want to get a sense of how Spotify works, out Rdio or MOG. Both offer a similar service: for $10 a month, you get you unlimited, ad-free, on-demand music on your PC and mobile devices. Spotify once did better than its competitors, as it offered unlimited free music with ads on your PC. Eventually though, the company cut back the amount of free music from unlimited to just 10 hours a month of listening time.